Wandering Ranch Style Home on over 1/2 Acre Lot. Abundant, Freshly cleaned windows enhance this Open Floor Plan. Main Level boasts 10' Ceilings throughout. Gr8 Room has Engineered Hrdwds, Gas Log Fireplace and Views to the Southwest. Kitchen has Granite, Stainless Appl. includes Dbl. Ovens & Gas Cktop, Eating Space and Breakfast Nook. Large Master Ste. & Bath. Secondary beds have New Paint. Entire Main Level has NEW Carpeting. Formal Dining next to Kitchen. Convenient Laundry and a 1/2 Bath located as you come in from the Garage. Basement offers Expansive Family/Rec area with Incredible Wet Bar, Dishwasher & 2nd Refrigerator. There are 2 more Conforming Beds, Spacious 3/4 Bath & Large Unfinished Area PERFECT for Interior Storage. 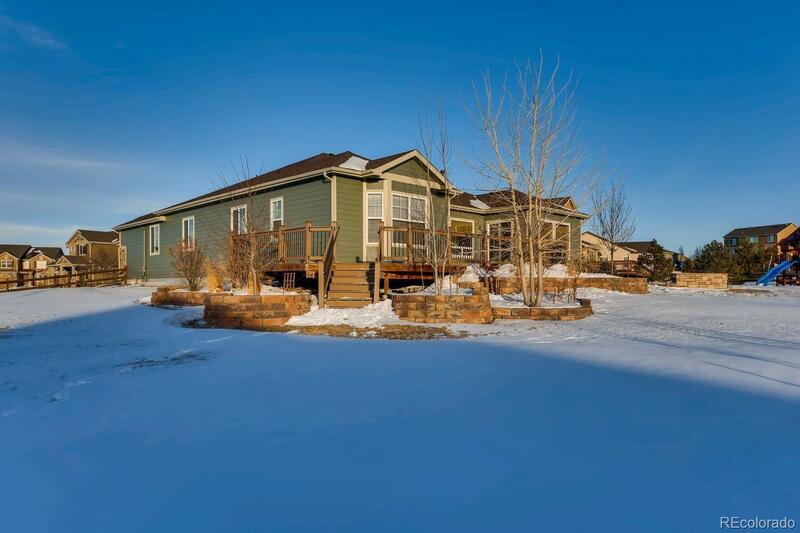 You'll Enjoy Entertaining on the Huge Trex Deck with adjoining Flagstone Patio & Gas Fire Pit. Deck has low voltage lighting plus natural gas connection for BBQ. New Roofing & Gutters installed 01/19. New Ext. Paint finished ASAP. Radon mitigation system .